A photo canvas is a great way to brighten up a home and give it a modern touch. Printerpix offers the highest quality canvas prints and at the best value. They have many options for you to choose from like the 38mm deep canvas frame that makes your canvas really call for attention. Friends and family will be impressed with your work of art. Best of all it only takes 3 minutes from start to finish! The Printerpix website was so easy to use; I had my photo canvas created and submitted in only a few minutes. I think the hardest part for me was deciding on a photo to use. My husband and I finally settled on this beautiful photo my husband took in Hawaii on our honeymoon. Isn’t it just amazing? This is the photo we chose for our canvas. 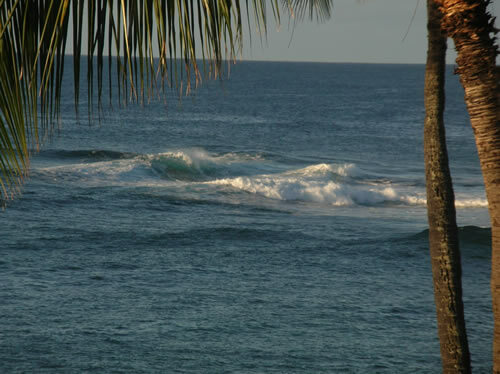 It is such a relaxing photo my husband took on our honeymoon to Hawaii. 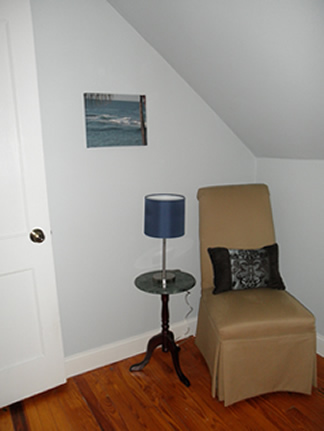 We thought that this would be a great photo to add in the sitting area of our guest bedroom. I have always been at a loss for what to hang on this odd-shaped wall. I think it works perfectly in the room, don’t you? Here is the completed photo canvas in our guest bedroom. One of the great parts of the Printerpix process is when they give you a chance to see what your photo canvas would look like in various rooms. I found this to be very helpful, especially if you are a person that has trouble visualizing! You can find out more about these gallery-wrapped photo canvases on the Printerpix website, or watch the video below! Purchase a photo canvas for yourself or a newlywed couple! Use coupon code NEWLYWED and get 20% off Printerpix products through 1/31/2013. Or, you could win one! 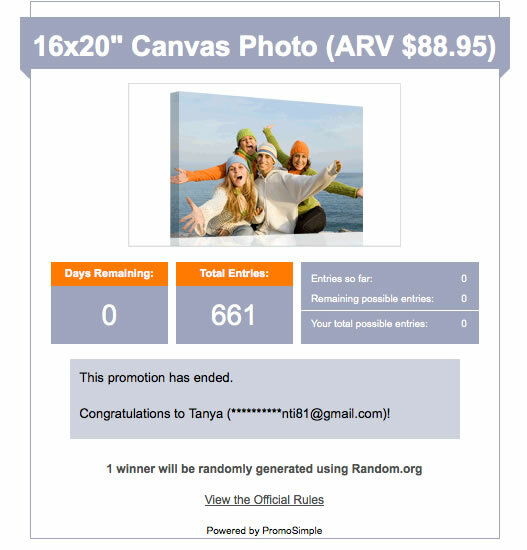 Printerpix is offering a 16×20″ photo canvas to one lucky Newlywed Survival reader. You can enter the giveaway by providing your name and email address in the form below. You can earn additional entries with the bonus options shown. Good luck! Note: By entering your name and email below you acknowledge that you have read and agree to the giveaway official rules (link at bottom of form). Disclosure: I received a photo canvas for review purposes. All opinions expressed above are 100% my own. The actual tweet option in the form, or the tweet button at the bottom of the post?